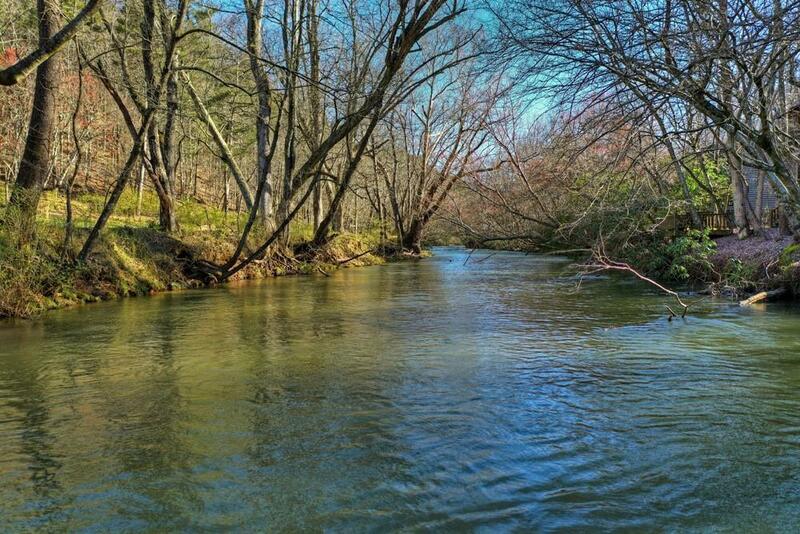 3BR/2.5BA TRUE LOG CABIN on the Cartecay River! 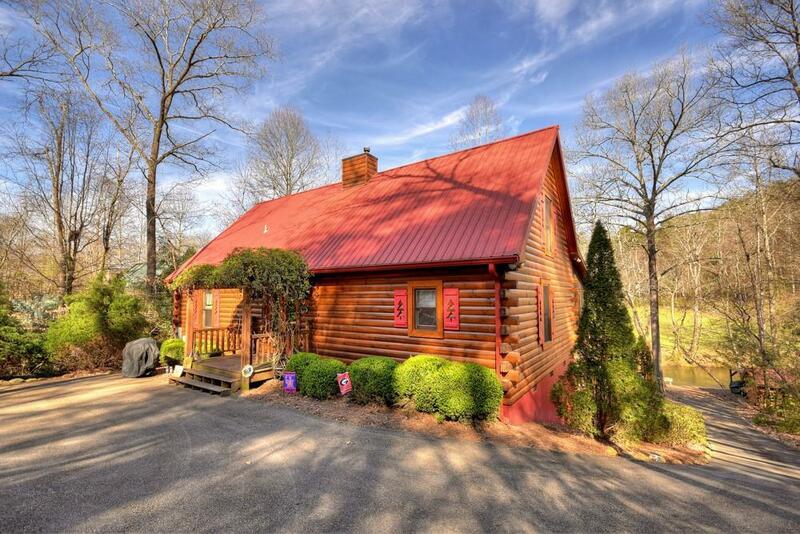 You will be wowed w/the double sided soaring rock fireplace, wall of windows, exposed beams, attention to detail throughout. Well appointed kitchen incl. 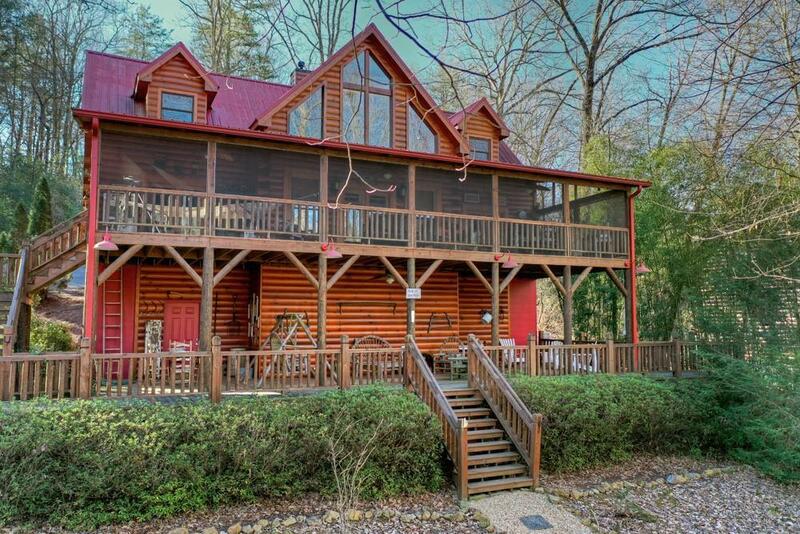 built-in wine cooler & ice maker; nice dining area w/doors opening to screened porch overlooking the RIVER. Master on main, lg walk-in closet & tile shower. Catwalk connects 2 BR's on upper level. Cabin is not in flood plain/no steep drives. 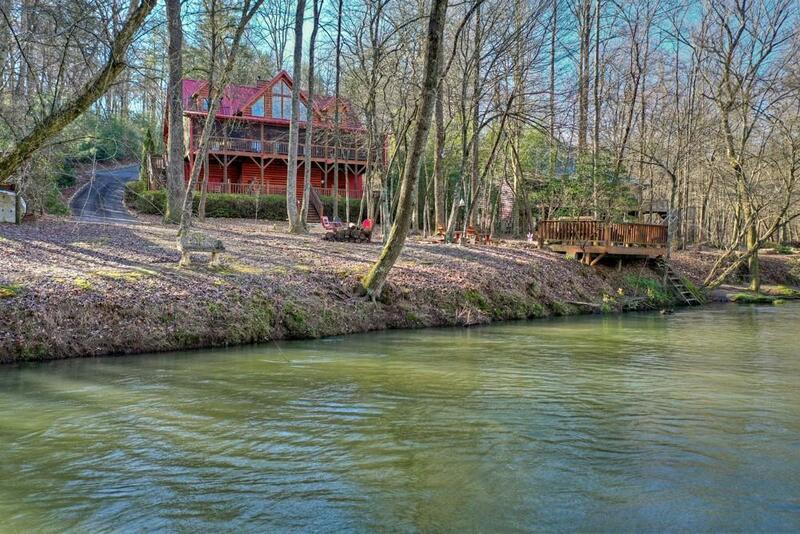 Great entertaining along the river's edge w/deck, firepit & steps built into the river. Log shed. 1 owner, never rented. Listing provided courtesy of Re/Max Town And Country. Listings identified with the FMLS IDX logo come from FMLS, are held by brokerage firms other than the owner of this website and the listing brokerage is identified in any listing details. Information is deemed reliable but is not guaranteed. If you believe any FMLS listing contains material that infringes your copyrighted work, please click here to review our DMCA policy and learn how to submit a takedown request. © 2019 First Multiple Listing Service, Inc. Data last updated 2019-04-21T09:03:17.007. For issues regarding this website, please contact BoomTown.